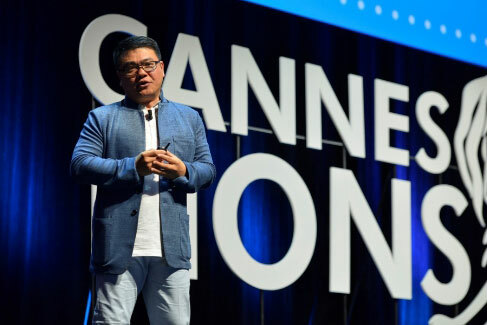 During his keynote, titled The Human Face Behind the Device, Tencent Online Media Group president SY Lau, and Media Person of the Year awardee, explored how connectivity can be harnessed in the service of individual potential and drive societal change. The millennial generation, he noted, view the world as "an integrated whole where everyone and everything is connected" - while traditional practices can be integrated and enhanced with modern, connected technology. This year, hundreds of millions of virtual red envelopes - Hong Bao - were shared on Tencent’s WeChat service on the eve of Chinese New Year. "While Hong Bao is still a good-will gesture that we give to loved ones, the delivery of Hong Bao has been changed," he said. "Ancient customs can be enhanced, through connectivity, every aspect of our lives will be altered, for the better." Tencent, a pioneer in the mobile internet market, has transformed the way Chinese people utilize media. In 2014 it became the platform offering the largest number of British and American dramas in China. An average of 250 million users read Tencent news via mobile every day. And in Guizhou province, 2000 miles away from Beijing, it has pioneered an experimental CSR project to connect a normally isolated community and deliver a free flow of information. Businesses wanting to engage with China in the digital age need to adopt three key principles, says Lau. First, "Think ‘Math Men,’ not just ‘Mad Men.’ Creative individuals need to stretch themselves to use technology to amplify the power of their imaginations. Secondly, "Don't be too hasty to exploit the returns," on opportunities. "Return on investment in China is often created by the eyes of the curious, not the minds of the calculus," he explains. Finally, competition is not the only pathway to success. "Long Tail and crowd-funding are game changers. We are no longer living in a zero sum world - we now have better ways to allocate them, manage them, and even maximize them," he explains.